Intel's second generation Core i-series processors, referred to by us geeks as "Sandy Bridge CPUs", brought with them a significant boost in overall processing power. What really got me curious though was Intel's QuickSync technology. Intel has a page on their Web site that talks about this technology, but I wanted to dig deeper so I reached out to Intel Canada and Joe Ellis, Market Development Manager for Intel Canada, responded. DHT: A key feature in the second generation of Intel Core processors, known as Sandy Bridge CPUs in the tech circles, is the inclusion of an on-chip graphics processor. 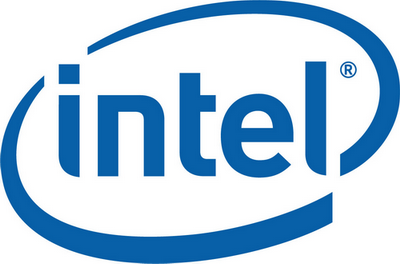 One of the benefits of this integration is Intel's Quick Sync video technology. Can you describe what Quick Sync technology is and how it works? Why is it better that a straight CPU-based video encode? ELLIS: "Intel Quick Sync Video has often been described as "hardware acceleration" technology built into 2nd Gen Intel Core processors. This is partially correct. Traditional hardware acceleration has been enabled through software optimizations for general-purpose CPU resources otherwise shared with multiple PC functions. This approach was widely adopted with the first MMX instruction set in 1995, and resulted in much faster multimedia rendering and playback times - though often at the expense of other computing functions waiting for those same computing resources. Subsequent Intel CPU generations introduced ever more powerful instructions and architectural advancements to accelerate a variety of parallel tasks, but always using processor resources common to every task." "Intel Quick Sync Video is a break from this approach, having its own processor real estate dedicated solely to the acceleration of video transcoding. Among the many enhancements is a hardware-based multi-format compression/decompression (codec) engine which, for example, completely offloads video decode from the CPU. Does it make much of a difference? It turns out that, yes, it does. Anandtech reviewers recently tested three comparable PC configurations: two with add-in graphics cards, and one using only Intel processor graphics with Quick Sync Video built-in. The reviewers tested how many parallel high-definition video streams each system could sustain at a full 24 frames per second. One system with add-in graphics was shown to support up to three streams. The other, just one! Intel Quick Sync Video - with no add-in graphics card - supported up to five parallel HD streams." "In addition, Tom's Hardware tested the outright speed of Intel Quick Sync Video technology when translating a common video input source to a common output format - in this case a standard HD video feed converted for playback on an Apple iPad. The reviewer concludes "Quick Sync optimizations put [2nd Generation Intel Core processors] in another league entirely. Converting an almost-500 MB source to 1024x768 for playback on an iPad takes a scant 22 seconds," or nearly 4x faster than competitive discreet graphics solutions, and almost 8x faster than the system with hardware acceleration turned off altogether. If you like to create videos for YouTube, or if you transfer a lot of videos to mobile devices to watch on the go, then Intel Quick Sync can save you a lot of time." DHT: Special software is required in order to leverage the Quick Sync technology, correct? What sort of adoption of Quick Sync are you seeing from the makers of video editing applications? I've noticed that Adobe and Apple, at the consumer level, have avoided implementing any sort of GPU-assisted video encoding. Do you think they'll want to use Quick Sync? ELLIS: "As with most processor resources, optimized software is required to activate their benefits. Intel can't comment on the plans of third parties, but continues to work with software vendors to optimize their code for Intel processor graphics. The transcoding example previously quoted referenced professional tests conducted using Cyberlink MediaEspresso, featured at the CES earlier this year. As a recent addition, Elemental Technologies just released Badaboom 2.0 fully optimized for Intel Quick Sync Video by utilizing the Intel Media Software Development Kit, available for all developers to download here." DHT: Does Intel Quick Sync differ from other GPU-based encoding acceleration solutions on the market today such as NVIDIA's CUDA or AMD's Accelerated Parallel Processing? Or is it basically the same thing? ELLIS: "Intel Quick Sync Video differs greatly from alternative solutions. Intel has expanded the widely available x86 instruction set to include new functions capable of parallelizing and accelerating high-quality video transcoding - rather than attempting to expand a separate graphics architecture to offload functions otherwise executed by the CPU. With Intel's approach, application developers can use their current programming tools and techniques to more seamlessly realize the benefits of Intel processor graphics - rather than needing to learn and merge a newer graphics programming language into their current application development environment." DHT: I've read some confusing information about Quick Sync not functioning if there's a dedicated graphics card (as in, NVIDIA or AMD cards) on board. Let's say I'm building a video editing rig around the new Intel Core i7 processor and I want to be able to leverage Quick Sync technology. Do I need to avoid putting in a dedicated graphics card then? What does that mean for video editors who also want to game on their system? ELLIS: "No. There are a variety of discreet "switchable graphics" cards available today for laptops that enable both the use of third party discreet and Intel processor graphics. Switchable graphics capabilities are expected to be available for PC desktops this summer." DHT: How does this come into play in the laptop world - does this mean if someone wants to leverage Quick Sync encoding on their laptop, they need to purchase a model that lacks a discreet GPU? ELLIS: "They can have both. There are dozens of laptops available today that support both discreet and Intel processor graphics. But the benefit to new PC buyers is that they don't need both. Third party tests show Intel processor graphics handily outperforming some of today's most widely deployed discreet graphics offerings. New laptop buyers can now enjoy lighter, sleeker, and more energy efficient laptops with longer battery life - often at a lower cost than those with discreet graphics options." I've personally been quite impressed by what I've seen of Intel's QuickSync technology. When I did tests in my Samsung Series 9 review, I saw some interesting results. Here's a quote from that review. "It's worth calling out the insane performance boost that Intel's QuickSync technology offers if you have software that can leverage it. I used CyberLink's Media Espresso software to transcode a 2 minute 22 second 1080p WMV movie trailer to an iPad h.264 file. With QuickSync turned off, the conversion took 2 minutes 18 seconds (basically real-time). With QuickSync turned on, it finished in 1 minute 9 seconds. That's twice as fast for the math-challenged. Awesome stuff! It's even better with standard definition content; a 20 minute VOB file from a DVD converted to an iPad h.264 file took 5 minutes 55 seconds with QuickSync turned off. QuickSync on? A stunning 1 minute 19 seconds - that's roughly 20x real-time. Oh, and QuickSync drops CPU usage from 80% during the conversion down to 25%, so you're saving battery life as well. If only Media Espresso had a DVD ripping option...I'd be in heaven!" Intel's QuickSync technology is powerful, and as long as it gets adopted by the big video editing players (Adobe, Corel, Sony, CyberLink, etc.) we could see HD video editing on an otherwise unimpressive laptop actually become a possibility. Jason Dunn owns and operates Thoughts Media Inc., a company dedicated to creating the best in online communities. He enjoys photography, mobile devices, blogging, digital media content creation/editing, and pretty much all technology. He lives in Calgary, Alberta, Canada with his lovely wife, his wonderful son Logan, and his sometimes obedient dog. He wishes video editing software on Windows was much better.